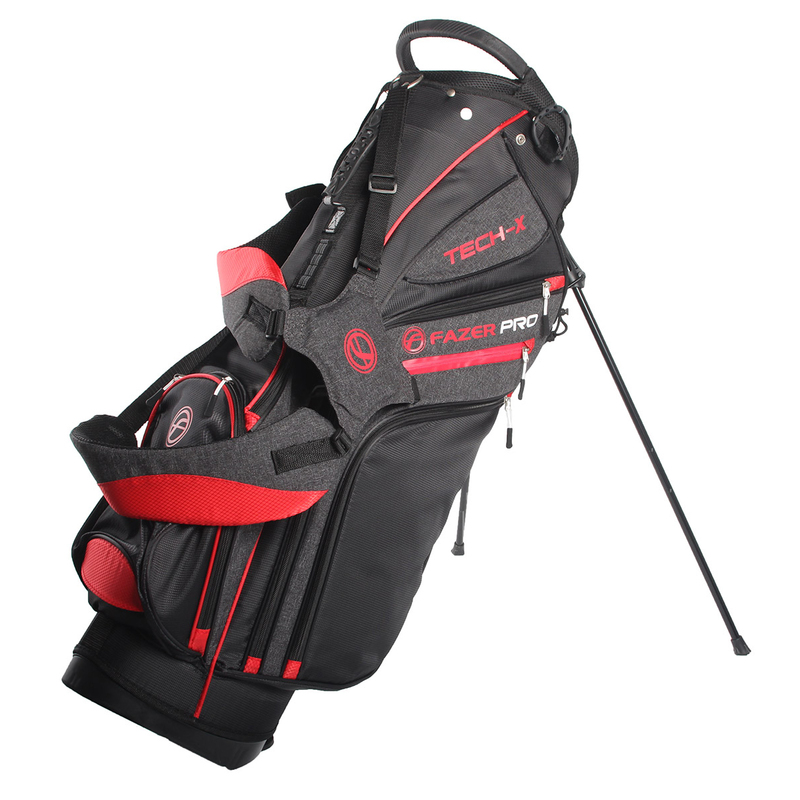 Up your game with the Fazer Pro Tech Stand Bag. 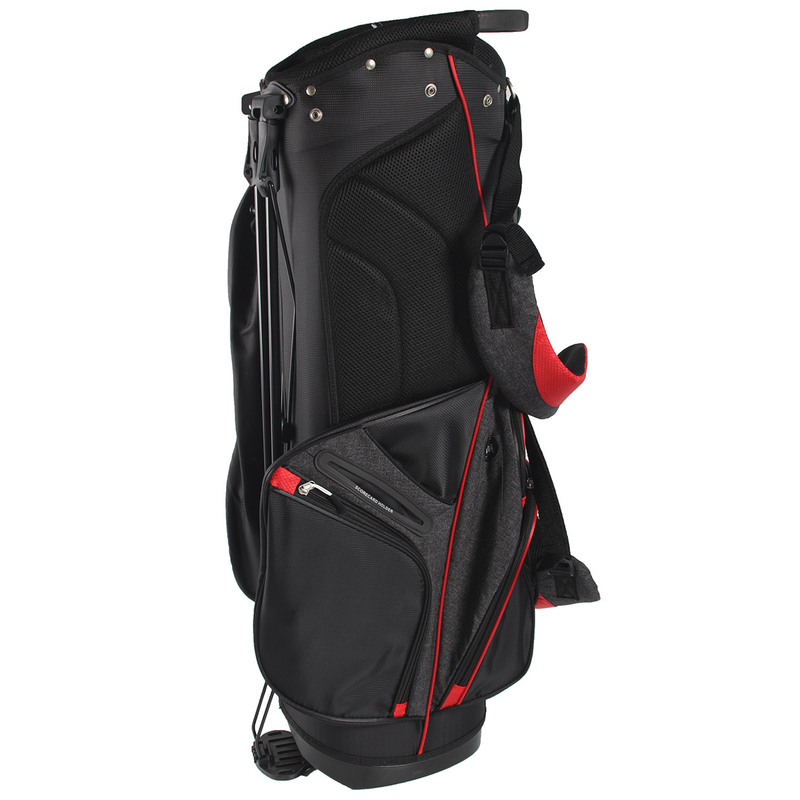 With a graphite friendly 14-way separator top you have more than enough storage for your clubs. 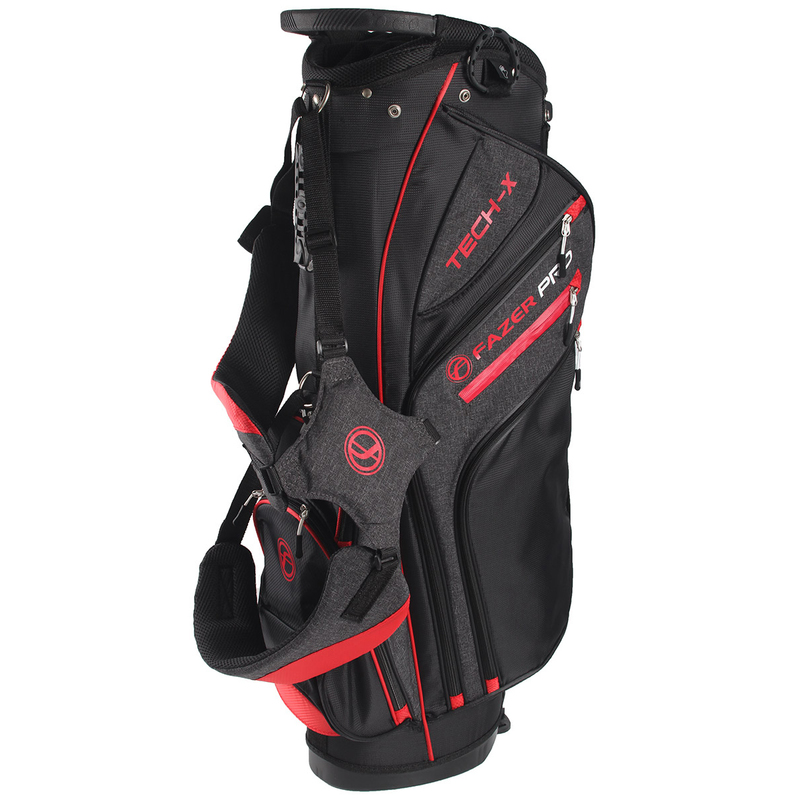 The easy to lift handles and 6 zippered pockets make it incredibly easy to use, including a velour-lined valuables pocket with a waterproof zipper. 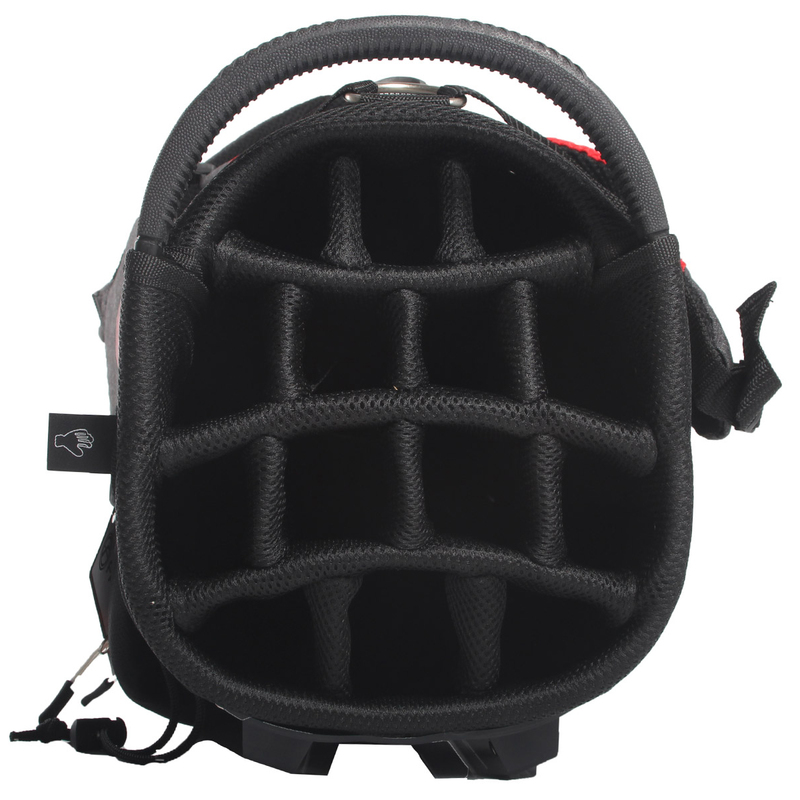 Padded dual carry straps and an extra thick hip pad provide improved comfort and the tempered legs are really easy to release. With an extra towel ring with velcro glove attachment, umbrella holder, scorecard sleeve, hydration sleeve and rain hood cover.